Research…rocks! Druids, pagans, Christians, Romans, the lot! Just thought I’d share some of the books I’ve been using to research my new series. I’ve not read all of them yet but I’m getting there, so no-one can say I don’t put in the hours researching my subject. The best thing is, these books, and this whole period, rock! 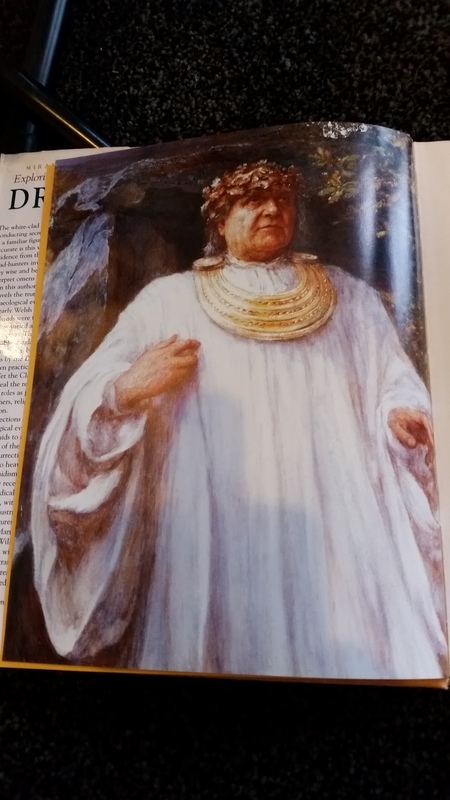 I’m really enjoying learning about post-Roman Britain and the fact almost nothing is known about the druids gives me a lot of scope to invent my own version of that legendary class. 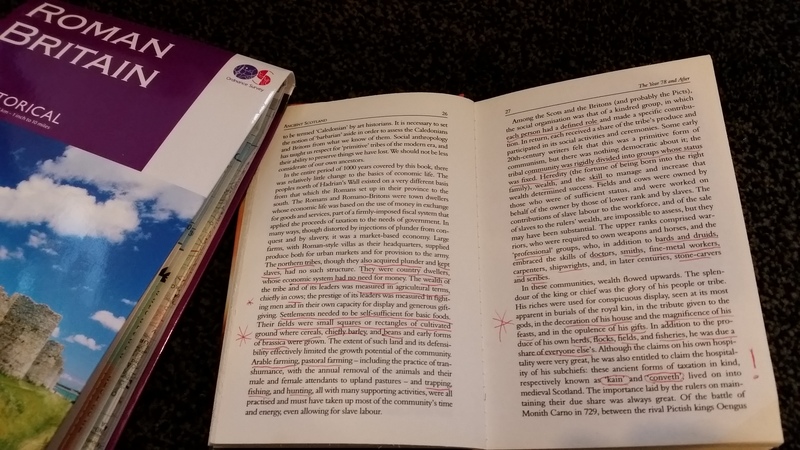 I go through them all, underlining and marking important lines for future reference and the whole process gives me a good understanding of the period. I did the same thing when working on the Forest Lord books. Sorry, I deface my books. They love it really. These are the two newest additions. I’ll be honest, when I started planning the series I thought it would be mostly set in England, with English characters, just like my Forest Lord tales. And then I sat down to write it and realised there wouldn’t be any druids left in England when the Romans left the island. They were all wiped out! The only place there might be any left was in Scotland. So the main character is a guy from my own neck of the woods, Dumbarton/ Dun Breatann and that’s where the action kicks off in the usual explosive fashion. I do like to start a book with a good fight. So these two books are coming in very handy! The action has moved further south (I’m almost halfway into the first book) and the whole series will see our hero, Bellicus, travelling all around the British Isles. There are less characters compared to the Robin Hood books but I’m convinced it will be just as exciting. I’m certainly really enjoying writing it, the ideas just keep coming! 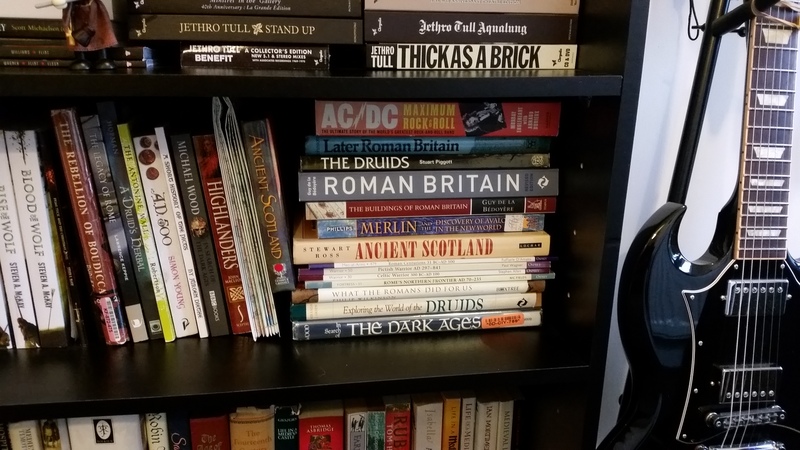 Do you have any recommendations for great books I should look at for this period (post-Roman Britain)? Books about druids, pagan Gods of the time, or anything else related?Let me know in the comments section or send me a message! Blood of the Wolf US Sale! Fabulous to see someone else so excited about research as I am! Also wonderful to find another author waist-high in research on Druidry. Those unknown decades after the Roman Empire left the British Isles are endlessly fascinating. Despite what the history books say, the ‘dark ages’ are full of shadows and empty entries within which authors can create exciting characters and scenarios. Can’t wait to see this new book Steven. All the best, Elaine. Thanks Elaine! I actually only just realised Wulfsuna is set around the same period when I read Speesh’s 5 star review yesterday. I should really read it but I can never find time (you know how it is)!